There was a time, some seven or eight years ago, when I’d sit in an office every day, staring at a computer screen, feeling like a light had gone out inside – inside of me. Back then, I had a job many people would kill for, the kind of job that made people go, “Wow!”. In many ways, I wasn’t too far off the pinnacle of my profession, or at least I was mingling with people who were at the pinnacle of theirs. In many ways too, I’d achieved everything I’d been striving for – I’d ended up where I’d wanted to be. But my soul had gone to sleep. It felt like it had died. It wasn’t always like that. In the early years, I’d loved the adrenalin and excitement of it all. The instant deadlines, the foreign travel – sometimes with an edge of danger – the sense I was at the heart of something big and important. I’d loved the social side of it too, the colleagues, the camaraderie, the being part of a team. I’d felt like I belonged, like I’d made it. Oh yes, and I got pretty well paid. I bought my dresses in Hobbs in those days. But I guess I changed. Or something changed me. I went through some tough times (I came to terms with an eating disorder and the other ways I used to self-harm and began to recover; my dad died; I got depressed) and those experiences were a big part of the shift that took place inside. But maybe I also began to grow up, to mature. My priorities were no longer what they’d been in my 20s and early 30s. I started to wonder what all the striving had been for. So I left. I left so I could find another way. I’m still finding it – it’s taken a while – but I feel like I’m getting there. The other day, last week, I was stood in a school auditorium delivering a workshop on eating disorders, self-esteem, perfectionism, stress and how to manage difficult emotions to a group of sixth-form pupils. And unlike those times in my “wow” job when I’d felt like my soul had gone to sleep, on this occasion I felt alive. I felt exactly where I was supposed to be. I felt in my element – it all came so naturally, no nerves. I felt like I was living my purpose, doing God’s work, combining all my skills, talents and life experience – the good and the bad – into a wonderful package that might just make a difference to somebody else’s life. It was a real privilege. And I noticed when those students really started listening, when they stopped fidgeting and whispering. It was when I began talking about myself. About my childhood. About the sadness, the sense of grief and loss after my dad moved out, the fear, the feelings of not being good enough, of needing to hide behind some sort of mask, to excel at everything, be perfect, be something I wasn’t. And all the studying and stressing and starving and eating and then the drinking. 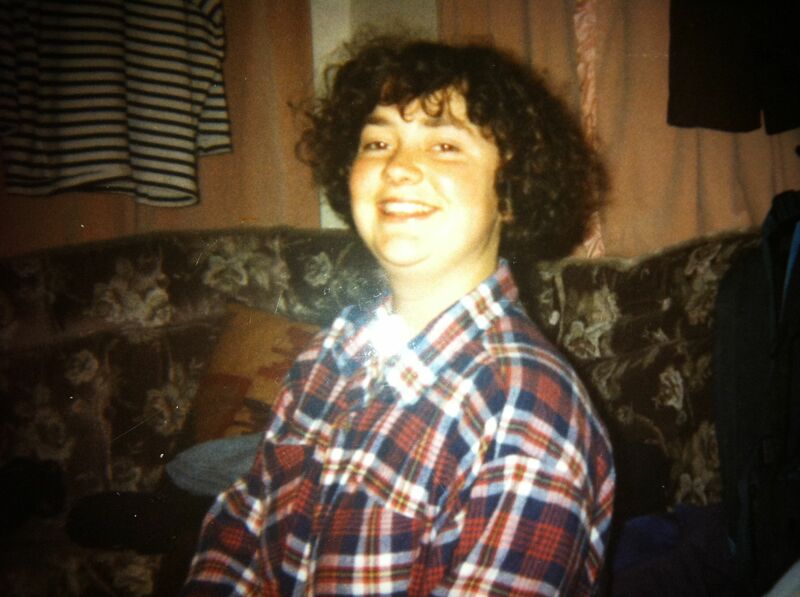 And then, when I showed them the picture of me at 22, overweight, hiding my body and the shame I wasn’t in touch with behind a baggy shirt and a big smile, a hush fell over the room (or at least that’s how it felt to me – maybe I’m always shocked to see that photo myself). We went on to discuss healthy ways to cope with school and exam stress, peer pressure, social media pressure, perfectionism, grief and loss, anxieties about school and home. We explored the alternatives to self-harm. And we talked a bit about balance, about balancing our desire to achieve and get good grades with self-love, self-care and happiness. I felt useful, purposeful, grateful that my experience could maybe help others. But I wasn’t being paid. And, this month, as I try to see if I can make a living from work I’m passionate about rather than work that drains me and suffocates my soul, there isn’t much money coming in at all. So how can I achieve my unique potential without sacrificing my wellbeing and earn well enough to be able to buy a Hobbs dress again and go on some beautiful holidays? That is my challenge – and I might need your help. I’d like to deliver workshops to schools, to organisations and to individuals that help people identify and fulfil their unique potential without sacrificing their wellbeing or, put another way, that help them identify and fulfil their unique potential while staying sane. And I’d like to be paid. I would do this by combining the training I have done to become a licensed instructor in Packtypes – a self-awareness card system that helps people identify and play to their strengths – with all the tools I’ve learned over the past 12 years of addiction recovery as I have come to understand my own natural gifts and potential and found ways to support myself as I try to fulfil that potential, without losing my mind or harming my body. To design and deliver these workshops, I’m going to need all my strengths – my communication skills, my ability to connect on a deep level with people from many walks of life and my encouraging, supporting and inspiring side – and I’m also going to need to work on my lesser strengths, which include organisation, self-discipline, self-belief and the ability to start what I finish. A word of encouragement would be amazing. If you could suggest any schools, businesses, charities, organisations, women’s groups or individuals that might be interested in my workshops – either purely on self-awareness, strengths and talent management or on achieving while staying sane, that would be awesome. I hope, pretty soon, with the help of some courage and encouragement, to host my first workshop for adults, so I’ll post it on this blog and do come along if it’s for you. I figure if I can lead a prosperous life by doing something I love, I can inspire others to take whatever leap of faith they need to take, apply their strengths to something they really enjoy, earn a good living and bring their soul back to life. My “soul dead” stage, gracefully, was relatively short lived, at least the acute phase, but I don’t want to go back there. And it saddens me to think other people are sat there too, staring at a screen or engaged in a task but without any light on inside. I’d love to be able to help others to turn things around. I know this is what I’m meant to be doing – at least for today – and I know the more I talk and write about it, the more it will come true. So thank you – as always – for listening. Before I go, I’ll explain why I called this blog “The Wonder of You”. I came up with that name the other day after listening to Elvis sing that song on the radio and I thought it would make a great name for a workshop (so watch this space). Yes, he’s singing to someone else, but I love the phrase, I love the idea that we’re all unique and wonderful. If you have time, listen to this song and watch this clip. It brings tears to my eyes. I love Elvis. Listen to that voice. And look how beautiful he was. Here’s a man with an amazing talent, living his potential, touching people’s lives. But this clip was filmed seven years before he died, at 42 (a year younger than me now), after his body fell apart from prescription drug and food abuse, after he became bloated and depressed. And we’ve lost so many other extraordinary talents too, people who were showcasing their gifts but who couldn’t cope with whatever feelings were going on inside. Many of these stories involve celebrities and their often spectacular demise, but what about those of us whose souls are degrading slowly and quietly, who are dying on the inside? Those of us who know we’re not following our dreams or putting our natural gifts to their best use, perhaps scared that if we were to try, really try, we wouldn’t be able to handle the fear and feelings that might come up. So how can we achieve our unique potential while maintaining our wellbeing and staying sane? If you have any thoughts, please share them. I’m excited about exploring the answer with you. This entry was posted in Addiction, Body Image, Creativity, Eating disorders, Perfectionism, Women, Work and tagged Eating Disorders, Packtypes, Recovery, schools, self-awareness, self-esteem, Workshops. Bookmark the permalink. Thank you Lisa! All the best for your journey. Hi Katherine, I can’t be of much help as I am in Australia but I must say that I wish someone had have given me that talk when I was about 17. Maybe it would have saved me many years of struggling with issues or at the very least it would have made me understand that I was not the only person feeling as I did. Thanks for your support from Down Under! I appreciate it. Yes, perhaps a seed would have been planted if we’d heard something like this back then. All the best to you.